Carol Ann Newman – The life, love, & beauty of our mother, sister, aunt, cousin, friend. The life, love, & beauty of our mother, sister, aunt, cousin, friend. On December 4th, 2014 we witnessed the passing of our beloved mother, sister, aunt, cousin, & friend…Carol Ann Newman (formerly married as Pritzlaff). Carol was an artistically talented and extroverted person who also suffered in life from severe schizophrenia. This blog is dedicated to her life. Through images, and stories provided by her family we hope to help others know the woman she was, and to understand how much love, life, and joy she provided to so many for her 67 years of life on this earth. We love you. You will be remembered and are sorely missed. Below is a post I placed on Facebook a couple of days after my mother passed away. By placing this on her memorial site I hope that anyone reading this can have a better understanding of who Carol was, the struggles she endured, and why she was, and still is, such an important person in the lives of those who knew her. I hope you enjoy reading it. “It is with a very emotional and shadowed heart that I let you know that my Mother, Carol Ann (Newman) Pritzlaff, died this past Thursday, December 4th. Carol was not someone whom I knew especially well, mostly due to her having severe schizophrenia most of her life and my exclusion from being around her at a young age. An artistically talented and extroverted person, Carol spent her early life and teen years deep in the arts (she loved to play piano and to paint), and brought joy to so many of her family and those around her. Sadly she was diagnosed with schizophrenia in her teens which would lead to years of being housed in a state mental institution followed by specialized care homes. Even though she was afflicted with such a debilitating disease her joy, passion for music, and her ability to make others feel good always found a way to come through. Her siblings, friends, and I are deeply hurt by the loss of such a good soul. I was fortunate in life. 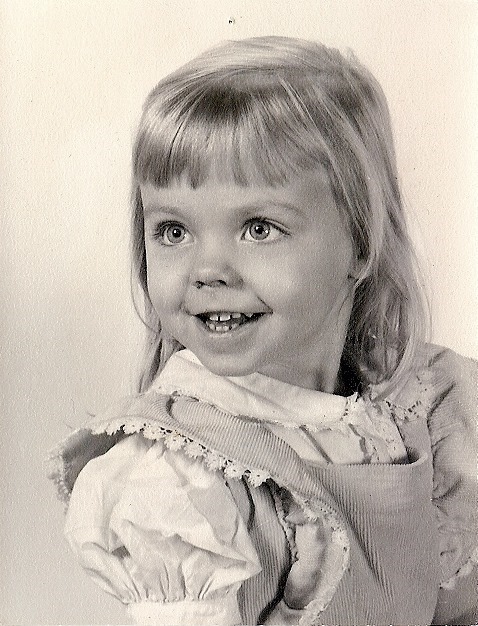 Born to Carol in 1973, a time where she was not fully able to care for a newborn, I was given to a foster family (Velma and Ray Peterson; both sadly gone as well) and was raised with much love and had/have a wonderful foster family whom, to this day, still supports and cares about me even though we are apart. It wasn’t until my 19th year of life that I met my mother Carol for the “first time”. It was an emotional and difficult meeting. Her medication was not having an overly positive effect and she was held within the grip of several delusions. Then something amazing happened…she looked at me. In that moment she knew who I was; knew I was her son; and told me how proud she was that I survived to grow up in to the man I was. I only saw her three times after that. Three times in 21 years. I hear stories from my Aunt and Uncles about her during those years and about how amazing she was and I regret that my fear kept me from experiencing those moments. Yet, life has a plan and life delivers what we need even when we don’t know we need it. I learned that my mother had terminal Cancer this past Monday, the 1st of December. I visited her in her care facility the evening of the 3rd. It was only several hours later that she passed on. To have the opportunity to hold her hand, tell her I loved her, and to see her look at me, like she did the first time, and to seemingly recognize that I was there, are memories I will always cherish. I truly believe that in her final hours she knew her son was there for her; that he had come home in the end. I can not even express enough gratitude to my partner Marc for his support (even when I told him to sit down, shut up, and just let me cry); to my Aunt Nancy and Uncles Doug, Dan, and Steve for all of their support and efforts on helping me get through the post-passing decisions. Through all of you I know I am alive, and I know that I am loved. Thank you all.